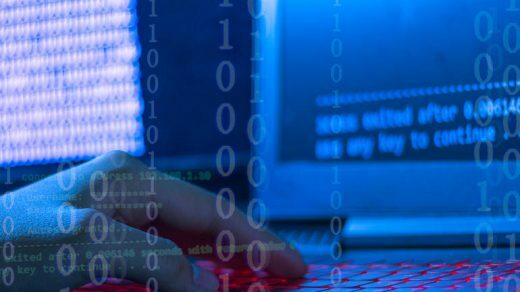 Social Engineering has been a very successful technique for cybercriminals in extracting information from innocent users and use it for fraudulent purposes, all without the knowledge of the users. The more innocent the target user group, the easier to capture their interest and extraction of information from them. That is why there are more and more elderly people falling for social engineering scams, especially in connection with their banking transactions. Cybercriminals are now seeing the elderly population with bank accounts as profitable targets, as making a call to their mobile phones can make them release their banking information. This growing problem is very visible in Southeast Asia, more particularly in Thailand where IT experts believe that the conduct of banks remained the same, as well as the perception of people of banking, has not fully transitioned to online-based transactions. “(They are) manipulated human greed and fear to profit. The victims, therefore, can become associated with criminal activities as their names appear in records showing the movement of money acquired through illegal activities. 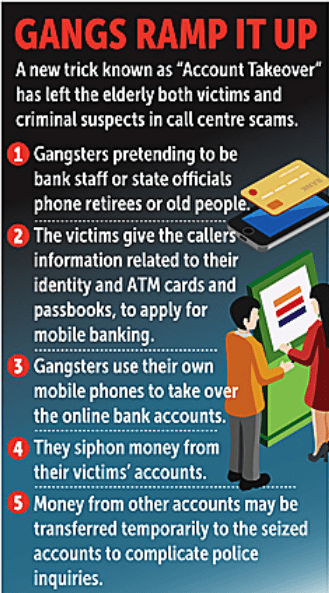 (However) Even clever people can fall prey to gangsters,” explained Rungroj Sangkram, Office of Anti Money Laundering’s Acting Secretary-General. Deposit account has been frozen / credit card debt – The criminals will use the automated response system to inform the victim that they will freeze the deposit account due to events such as credit card debt or illegal actions. Which may have an automatic sound, such as “You owe credit to the bank, press 0 to contact the staff” in the bid for the victim to panic. This will push the victim to communicate with criminals immediately and will be tricked into questioning their financial status. If the victim has a small amount of money, muggers will trick the victims into transferring money through ATMs. But if the victim has quite a lot of money, they will trick to deposit money through an automatic withdrawal transaction. Deposit accounts are involved in drug trafficking or money laundering – When fraudsters ask information from the victim and find that the victim has a lot of money in the account. Will trick the victim into saying that account Involved in drug trafficking or stick to money laundering problems. Therefore, requesting all victims to transfer money to check. Tax refund – Tax refunds will be used during tax filing and refunds. By which the thieves will pretend to be the Revenue Officer. The victim received a tax refund in some amount. Which must confirm the transaction and follows the instructions at the ATM. But in fact, the steps that the victims have done are transferring money to the criminals. Good luck, get a big prize – The fraudster will claim to be a company officer or representative of various organizations. Give good news to the victim that they will receive a prize or a high-value reward. This method tricks the victim to transfer the tax payment. Lost personal information – Lost personal information is an excuse that criminals use to request the victim’s personal information. By claiming to be a financial institution officer Tell an event that causes customer data to be lost, such as flood events. Therefore, requesting the victim to provide personal information such as date/month/year of the birth ID card number. To be used as a database to use the services of victims. But actually, the criminals will use this information to counterfeit or use financial services on behalf of the victim. Transferring money is wrong – The criminals will use this excuse when there is a lot of victims information. By starting from the phone to the financial institution that the victim uses. To enable loan request via phone, when receiving credit approval, financial institutions will transfer that loan to the victim’s deposit account. After that, the criminals will call to the victim, claiming that has transferred the wrong money to the victim’s account. Requesting a refund, when the victim examines the amount and finds that the money is actually transferred. Therefore, quickly transferred that money to the criminals Without knowing that the money is the credit that the fraudster calls on the victim’s behalf. // RootDaemon.com © 2019. All Rights Reserved.